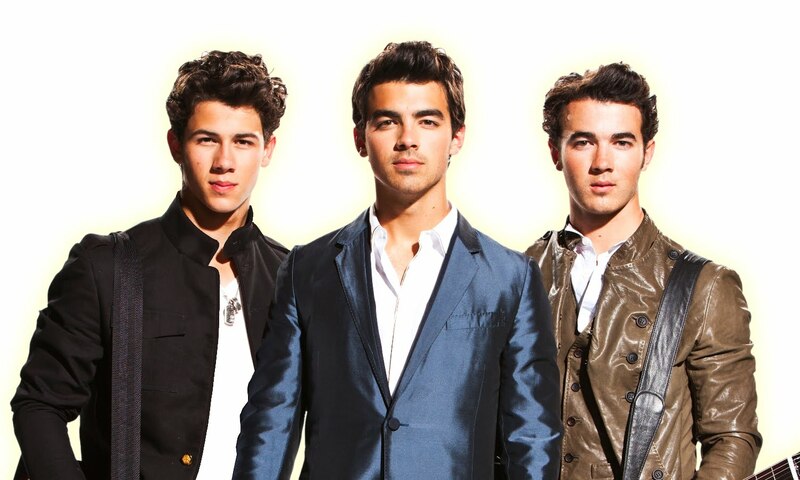 The Jonas Brothers were an American pop rock band. 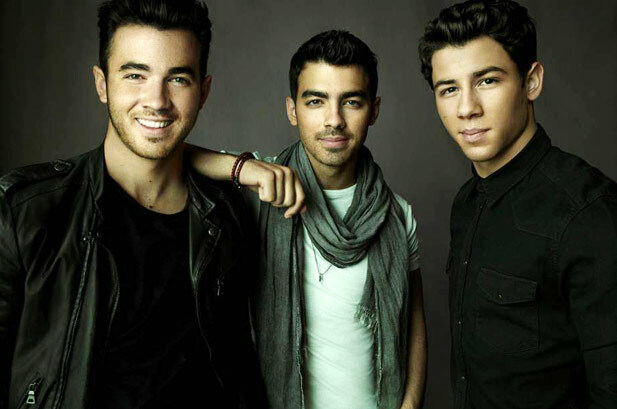 Formed in 2005, they gained popularity from the Disney Channel children’s television network and consists of three brothers from Wyckoff, New Jersey; Paul Kevin Jonas II, Joseph Adam Jonas, and Nicholas Jerry Jonas. In the summer of 2008 they starred in the Disney Channel Original Movie Camp Rock and its sequel, Camp Rock 2: The Final Jam. 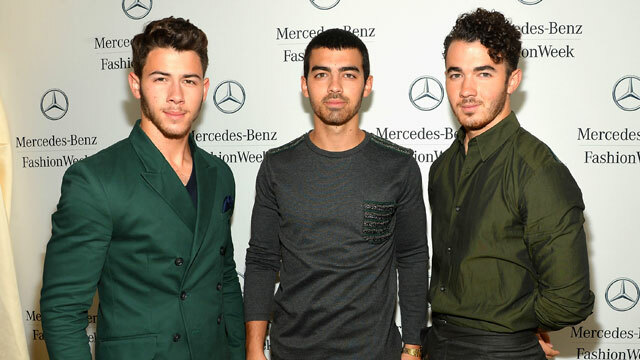 They also starred as Kevin, Joe, and Nick Lucas, the band JONAS, in their own Disney Channel series JONAS, which was later re-branded for its second season as Jonas L.A. The show was eventually cancelled after two seasons. 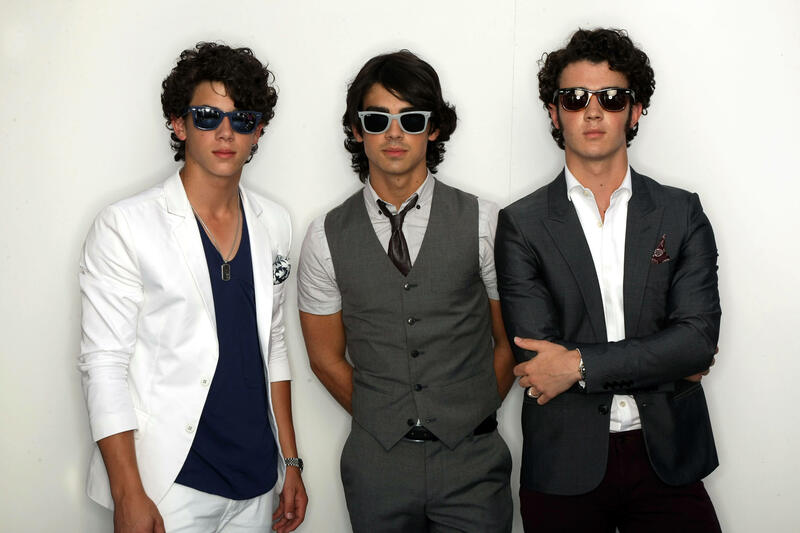 The band released four albums: It’s About Time (2006), Jonas Brothers (2007), A Little Bit Longer (2008), and Lines, Vines and Trying Times (2009). In 2008, the group was nominated for the Best New Artist award at the 51st Grammy Awards and won the award for Breakthrough Artist at the American Music Awards. 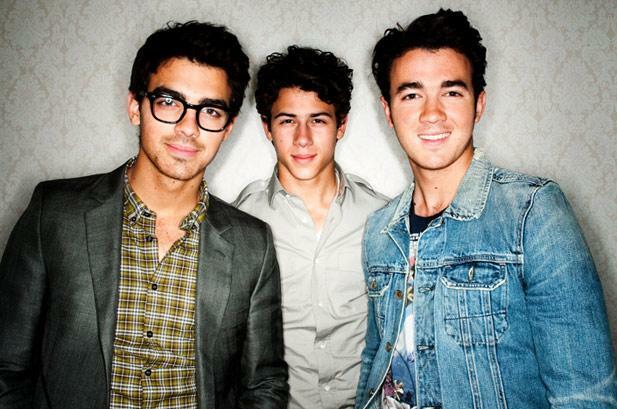 As of May 2009, before the release of Lines, Vines and Trying Times, they have sold over eight million albums worldwide. After a hiatus during 2010 and 2011 to pursue solo-projects, the group reconciled in 2012 to record a new album, which was cancelled following their break-up on October 29, 2013. They have sold over 17 million albums worldwide. 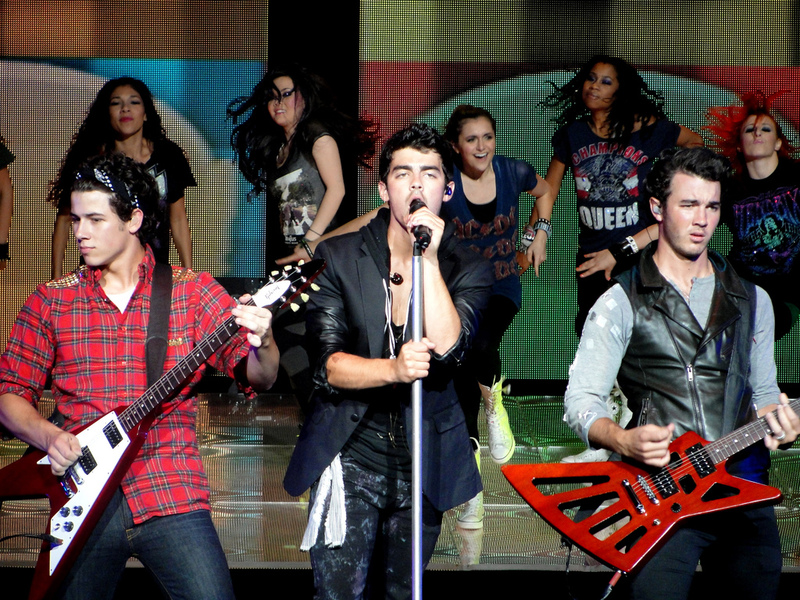 The band started as a solo project for Nick Jonas. 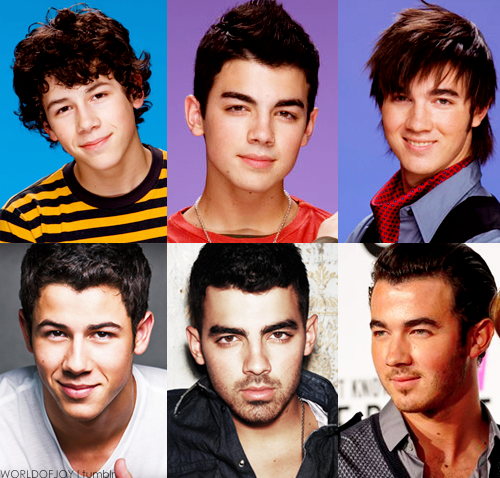 At the age of 7, Nicholas began performing on Broadway. He has acted in several plays, including A Christmas Carol (in 2000 as Tiny Tim and as Scrooge at eight), Annie Get Your Gun (in 2001 as Little Jake), Beauty and the Beast (in 2002 as Chip), and Les Misérables (in 2003 as Gavroche). After Les Misérables closed, he performed in The Sound of Music (as Kurt) at the Paper Mill Playhouse. In 2002 while performing in Beauty and the Beast, Nick had written a song with his father called “Joy to the World (A Christmas Prayer)“. With background vocals from the Beauty and the Beast cast, Nick performed the song on the 2002 annual Broadway “Equity Fights AIDS” album, Broadway’s Greatest Gifts: Carols for a Cure, Vol. 4. In November 2003, INO Records received a demo copy of “Joy to the World (A Christmas Prayer)“. The label released the song to Christian radio, where it quickly became popular on Record & Radio’s Christian Adult Contemporary Chart. While Nick was working on his solo project, Joe followed in his footsteps to Broadway, appearing in Baz Luhrmann‘s production of La bohème. 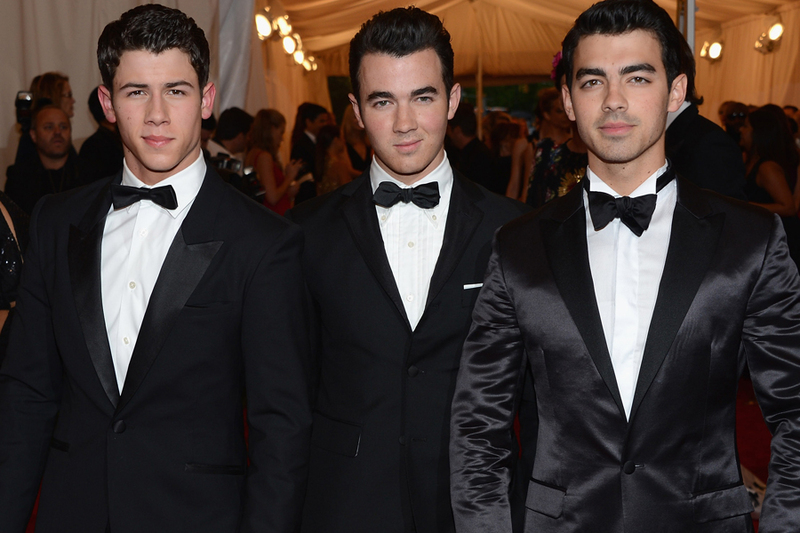 According to Nick, this was also the first year the brothers started writing songs together. By September 2004, an executive at Columbia Records found out about Nick‘s song. Nick was soon jointly signed to INO Records and Columbia Records and released the single “Dear God“. A second single, a new solo recording of “Joy to the World (A Christmas Prayer)“, was released on November 16. It was supposed to be followed by a December release of a self-titled solo album Nicholas Jonas, but the album had been pushed back; it did, however, get a limited release. 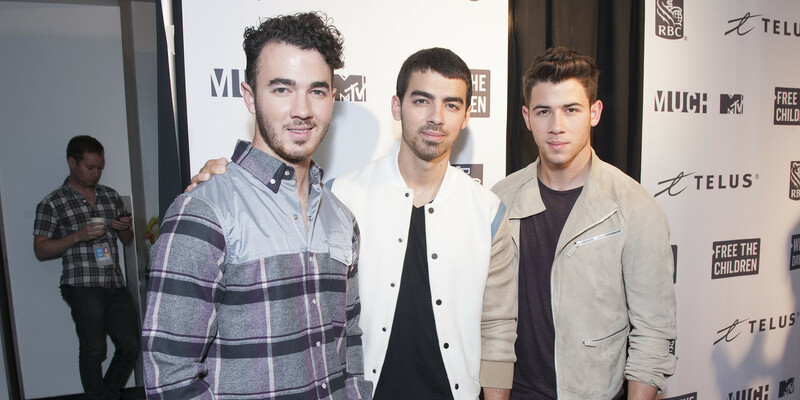 Nick, along with his brothers, Kevin and Joe, had written several other songs for the album. In early 2005, Columbia Records‘ new president, Steve Greenberg, listened to Nick‘s record. Greenberg liked Nick‘s voice. 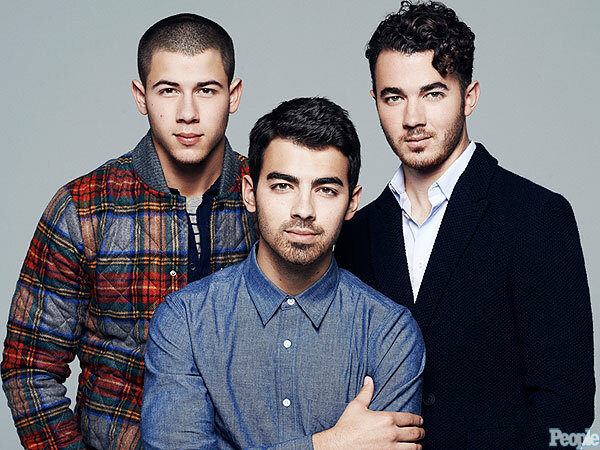 After meeting with Nick and hearing the song “Please Be Mine“, written and performed by the brothers, Daylight/Columbia Records decided to sign the three as a group act.